Registration will be open in early March 2018. 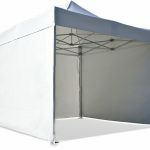 You will be provided a folding tent (3×3 metres) with a table (see photos). If required and on request, we can provide an additional table and/or one or two chairs. Registration will be open in March 2018.